planning a party on a tight budget? take heart, everyone feels the pinch in some way or another and what better time to host a celebration than at a time when we all could use a boost? 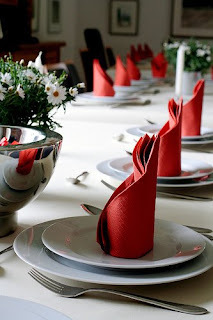 Read on for some money saving party planning tips. its a good idea to have some multi-purpose decoration items in your supply closet. try not to get too specific when you buy decorations for different holidays; invest in solids and ambiguous shapes such as hearts, stars, flowers and circles instead of christmas trees, flag designs, shamrocks and birthday cakes. that way, you can reuse the decorations for different occasions and mix-and-match your pieces to create different looks. red can be used for valentines day, canada day/fourth of july, christmas, casino night, etc. blue can be used for hanukkah, fourth of july, your american idol karaoke party, super bowl party... you get the picture! buy one or two inexpensive signature theme pieces [maybe a centrepiece for your dinner table and a balloon bouquet] for the party and that really should be all you need. want fresh flowers at your event but can't stomach the cost? try fresh petals instead. your florist probably has bags of them, ask to buy one. sprinkle them across your table and you will get the same lush feel! if you're going to have about 20 minutes of free time before the party starts, consider making vegetable or fruit trays yourself instead of buying those tempting pre-cut trays from your grocery store. why not have a potluck?! :) create a fun theme for your potluck, such as 'foods from around the world' or 'strawberry fields forever' and let your guests come up with creative and delicious interpretations of your theme! your best bet is a BYOB party, but it's always best to have drinks on hand for your guests regardless of whether or not you have specified your party to be BYOB. the cheapest route is beer and wine, or try making a punch for your guests served in an elegant bowl. what are some of your best wallet friendly fiesta tips? A potluck is a great way to get everyone into the theme, plus it will really save money for the party host! Just recently, we had a party where the theme was for earth day and for decors we used all old materials from our previous parties. Cost us zero.